Set in the early part of the 22nd century, the world is a more peaceful place. Technology has progressed to the point where it is now possible to monitor not only our physical well-being but our mental and emotional state as well. 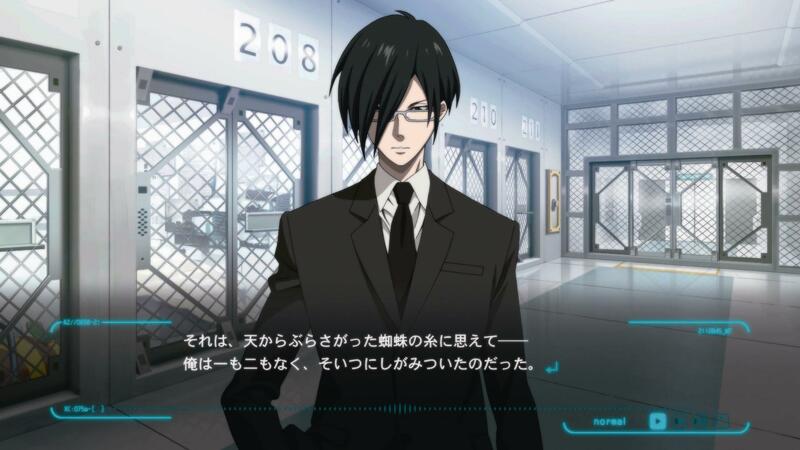 The Sibyl System technology is in place to protect the welfare of citizens by observing this mental state and observing the likelihood that they will commit a criminal act based on their state of mind – their Psycho-Pass. 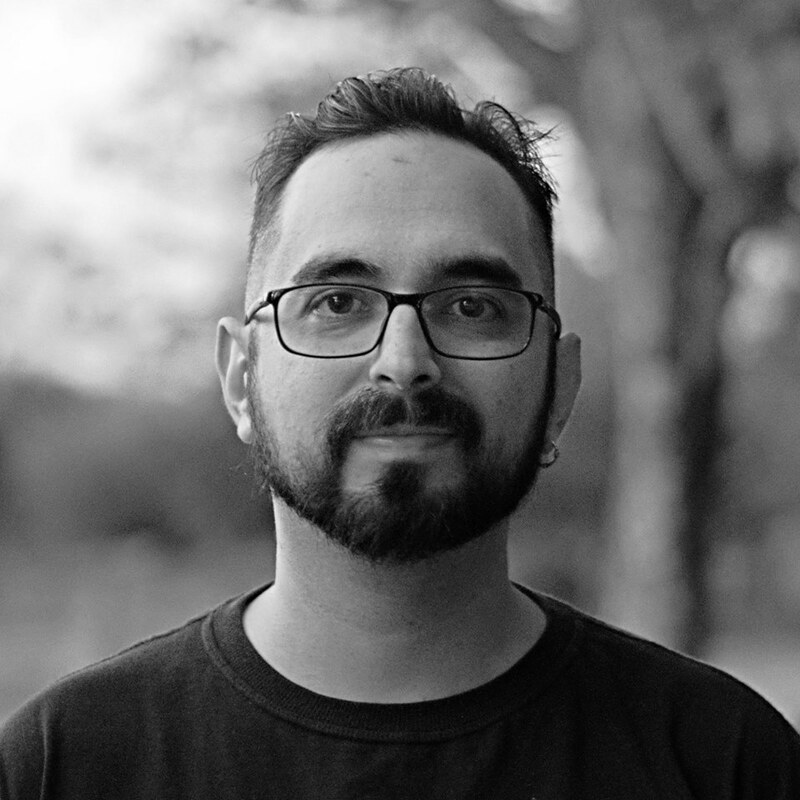 The first thing I have to say about this – and it’s something that had me worried from the start even before I loaded the game for the first time – was some advice we were given prior to reviewing the game. 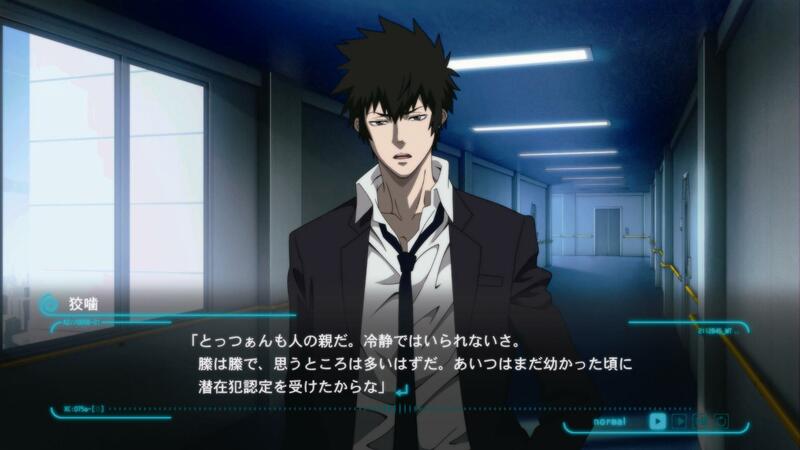 The game is based on the Psycho Pass anime series and specifically is set during the time frame surrounding the first six episodes of the first season. For those new to the franchise it’s advised that you watch at least those six episodes prior to playing the game. Now I was fortunate in this instance as the entire series (or the first season at least) is available to stream in the UK via Netflix but others may not be so lucky. Upon settling down to watch the series, I made my way steadily through the first couple of episodes, then a few more… and a few more after that… and before I knew it I’d crammed in about 15 episodes of the futuristic anime. Everything about it was compelling, with an incredibly deep and engaging story, believable characters, great performances from all of the voice cast… I really couldn’t fault it. By that point, I knew that I was ready to tackle the game head-on. Okay, I know I keep referring to Psycho Pass: Mandatory Happiness as a game but Visual Novels are generally hard to categorise. 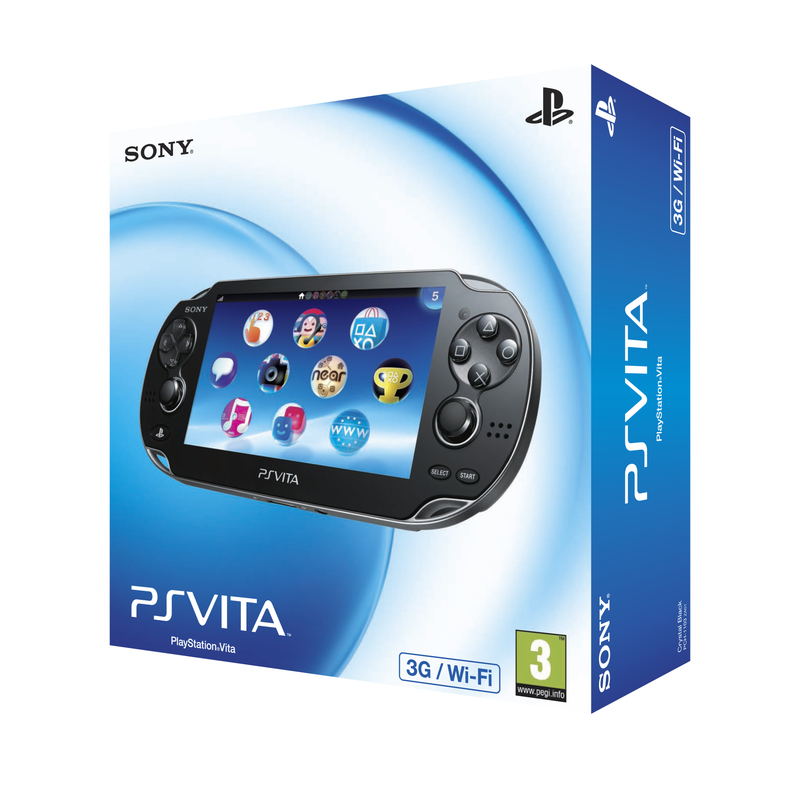 For the most part they’re a passive “experience” and I’ve found – especially with those that have an anime available as was the case with Steins;Gate – that you can get just as much out of the anime as you can from the Visual Novel if not more so there are times when I find it hard to justify “playing” Visual Novels on the Vita. As I progressed through Steins;Gate I found there to be little or no interaction other than pressing X to advance the dialogue. 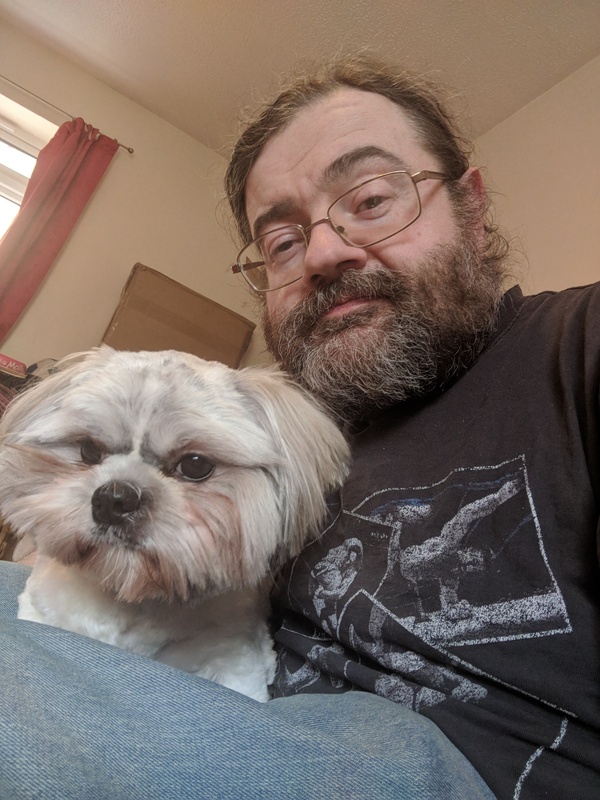 Only occasionally was this interrupted by text messages where I was able to select one of a couple of responses although these seemed to have no bearing on the story itself. It left me struggling with the title and I found myself wanting to sit in front of the television more to experience the story instead of struggling with the Vita’s OLED screen. Not far from the conclusion of the first chapter during one of the investigations I was given the choice of what the protagonist should do and just how to conduction part of the investigation. This wasn’t a simple response to a conversation that would have little or no meaning. This was a real decision that would potentially alter the story. I actually felt as if I was interacting with the novel. Finally this was the Visual Novel I had been waiting for… and it wasn’t the only choice I was asked to make either. As I continued, more and more choices presented themselves. Some felt minor but a few later on in the game really seem to have a significant change to the way the story develops, to the point that I was tempted to return to a previous save point after I had made a choice to see just what the impact was of my decision. Visually this looks superb, capturing the look of the anime perfectly. While most of it is presented in the form of still images, there is a limited amount of animation, done in a similar style to motion comics which suits the game perfectly. My only real gripe with it is the text. On some screens the typeface has a ghosting effect added to it and while it has obviously been done to give the impression that it’s an illuminated computer read-out, all it actually does is makes the text difficult to read. Sound works well with a soundtrack that compliments the story rather than draws attention away from it and while it only offers a Japanese voice track, it’s something you quickly get accustomed to. As I said before, while watching the series is recommended if you can I’d strongly advise it. 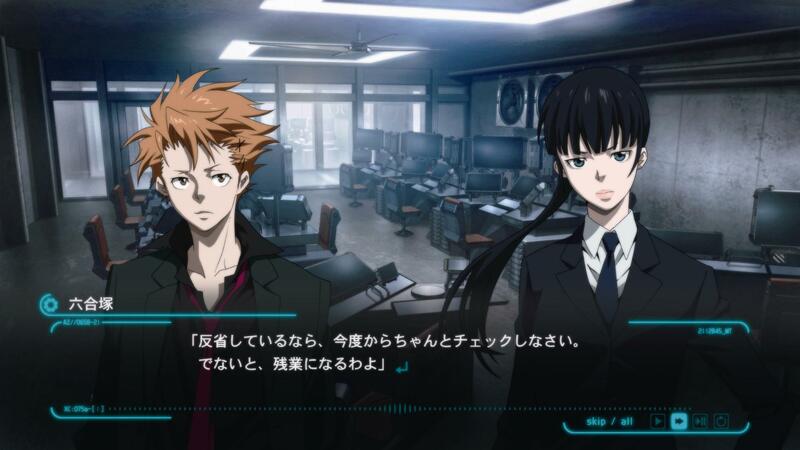 The amount of background information, additional depth to each of the characters that you’ll encounter as you progress through the story… the entire concept of Psycho Pass itself will be instantly familiar to you from the anime but I can see quite clearly that without this, anyone going into the game blind will struggle for their first session with it even though the in-game Tips (glossary of terms to the rest of us) does help. That problem aside, it’s something I’ve found really difficult to put down and in fact the story has been to blame for me not writing the review sooner as I’ve been too engrossed to be able to put it down. For me, it’s been just like sitting down to read your favourite book and wanting to shut out the whole world around you while you’re drawn into the adventure unfolding in front of you. Quite possibly the best Visual Novel to-date on the Vita.